If you have a look at the most common cause of black eye, it is a blow that you might get to the eye or nose. A blow to the nose might cause both of your eyes to swell up because in this case the blood gathers in the loose tissues around eyes. However a certain type of head injury called basilar skull fracture leading to a state called “racoon’s eyes” and some surgical procedures to the face like jaw surgery or facelift can cause black eyes. Still other types of allergic reactions around the eyes can cause this condition. Pain and swelling around the yes which ultimately leads to discoloration of that area can be included in the symptoms of this problem. It is essential that you follow these simple steps at home to treat your black eye and make sure that within a couple of days you get rid of this condition. The following remedies are available. This activity makes sure that you prevent infections that are likely to affect a black eye. Make sure that you clean any small grazes with soap and water. You can even use an antibacterial soap for the purpose as it will assist in clearing the bacteria accumulation from the area. Thereafter, it is recommended that afterwards you clean and dry the affected area regularly. Popcorn or pea seeds are used as pain tranquilizers incase you are suffering from a black eye. Keep un-popped popcorn seeds in refrigerator for a while and after they are frozen, place them in a small bag. Now wrap the bag in a washcloth and apply on the affected eye. This helps alleviate the pain and provides relief to the eye. You can use frozen pea seeds in the same manner as a substitute. Using ice on a black eye can help reduce puffiness by contracting blood vessels, by soothing and anesthetizing the area, and by declining fluid buildup. For the first twenty four hours after the appearance of the black eye apply ice for twenty minutes after every hour. However, it should be kept in mind that ice shouldn’t be applied directly to the injured area. You can wrap the ice in a wash cloth or buy an ice pack from the market and then apply on the area. A bag of cold vegetables enveloped in a cloth also makes a good ice pack. To help increase circulation to the injured tissue, use a warm washcloth on the affected tissue on the second day following the injury. This helps increase blood circulation aiding in re-absorption of any residual blood that has accumulated on the injury site, thereby promoting quick healing. Don’t make the mistake of pressing the already swelled up area as it is going to cause your eye more harm than you anticipate. Try to be gentle while applying ice to the black eye or cleaning the area. You need to watch out for any further injuries to the affected area as it might lead to certain complications thereafter. It is recommended that you avoid athletic or other possibly detrimental activities in the meantime. There is a general misconception among people that putting a steak or a piece of raw meat on a black eye can treat it effectively. But the reality is that no scientific proof upholds it. You might be inviting danger by putting bacteria-laden meat on a skin injury. Before sleeping at night it is recommended that you keep your head elevated by using a few extra pillows to help limit inflammation and pooling. You also need to avoid taking aspirin as it reduces the blood’s capacity to clot. You don’t need to drink the soda can this time, what you need to do is to hold the soda can against your cheek. Keep doing this after every ten minutes with a five minute interval in between. However, you must ensure that the can is placed against the cheek only but not against the eye as the latter results in pressure exertion on the eye ball. Papaya and pineapple paste can be applied to reduce the pain resulting from a black eye. The enzymes present in the fruits will help in decreasing the swelling and gear up the healing process. 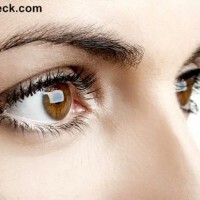 If you want to reduce discoloration then apply juice of fresh cucumber or paste of fresh potato on the eye. When you rest, the muscles around your eyes get more relaxation as even blinking strains them and results in pain. Make sure to get a good eight to noun hour sleep soon after you injure yourself. There is no nee to get embarrassed by your black eye. You have to remain prepared that the condition is going to stick around with you for a week after which it will eventually fade away within two weeks. A black eye might put you in lime light for a little while and this situation can be quite embarrassing. Even if you don’t like yourself in goggles, prevention is the best option available till you regain those normal eyes. 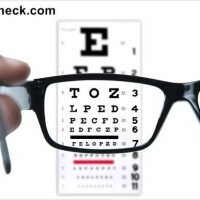 Experiencing pain or trouble when you move your eye for looking left or right, down or up. Sight problems including seeing double, blurred vision or amplified sensitivity to light. Infection sigs like redness or pus around the eye. When your eye or eye socket appears to be sunken or swelled up. On the white of the eye if you notice any broken blood vessels or any graze of the eyelid or eyeball. People having bleeding problem like hemophilia. A feeling of something having pierced through the eye. Most of the black eye injuries are caused by accidental injuries and there is no need to get panicked. There are lots of home made remedies available to treat the condition and that too without much cost. It is also advisable that you avoid blowing the nose during this period as it can cause swelling and contamination. What all you need is that you need patience to deal with the discoloration to go away.